Rosemary (Rosmarinus officinalis) – Live life with zest! Increases your physical vitality, emotional balance and grounded enthusiasm for life. Encourages a calm knowing that Earth is your home this lifetime. I AM grounded vitality and embodied enthusiasm for life. 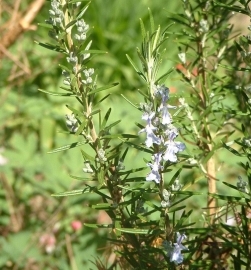 Rosemary, a Mediterranean native, is most well known as a cooking herb. It is a warming herb that improves blood circulation, which supports digestion, improves memory, relieves headaches and helps you feel calm and happy. Rosemary stimulates the adrenal glands and aids recovery from long-term stress, illness and depression. Use Rosemary Flower Essence when you are exhausted or weary to the point of feeling weighted down, sleepy, depressed, or wanting to cry. Useful when you are disinterested in your life and are unable to maintain the level of energy that would allow daily life to be full and interesting. Rosemary Flower Essence offers grounded resilience for living life with enthusiasm. It instills physical vitality, emotional balance and a calm knowing that Earth is your home this lifetime. Rosemary Essence strengthens the energy fields and energy circuits around the kidneys and adrenal glands. Rosemary Flower Essence was made with the “no-pick” method of bringing the frequency of the plant spirit directly into the mother/storage bottles as they are sitting with the plant. During this process, crystals of amber, andalusite, drusy quartz, icosahedron cut quartz, red jasper, ruby, tiger’s eye and unakite were placed among the plants with the storage (mother) bottles. The sun acts as a transformer to step down spiritual energies from higher dimensions. While the essence was being made, Amber acted as a lens to receive and focus sunlight for this purpose. It also aligns the subtle bodies with the physical bodies, transmutes negative energy into positive energy, and emits a sunny and soothing energy that calms and enlivens the disposition. Andalusite helps you retrieve ancient information and provides energy field repair and protection. It assists knowing Earth is your home this lifetime so you can enjoy living here and function easily in the physical body. Drusy Quartz crystals energize and stabilize your subtle bodies. Icosahedron cut quartz has 20 (5X4) equilateral sides. It is a bridge between the 5th Dimension - the entry into the unified Spiritual realms - and the 4 cardinal directions (N, S, E, W) on Earth. Red Jasper instills physical vitality, emotional balance and zest for life. Ruby increases your life force, courage, passion and enthusiasm for life, and helps you be lovingly grounded in your physical body. Tiger’s eye brings discernment, grounding, physical vitality, confidence and practical action. Unakite has a grounding influence with a calm gentle energy. The actions of the crystals inform the way this flower essence seats into the body/mind. 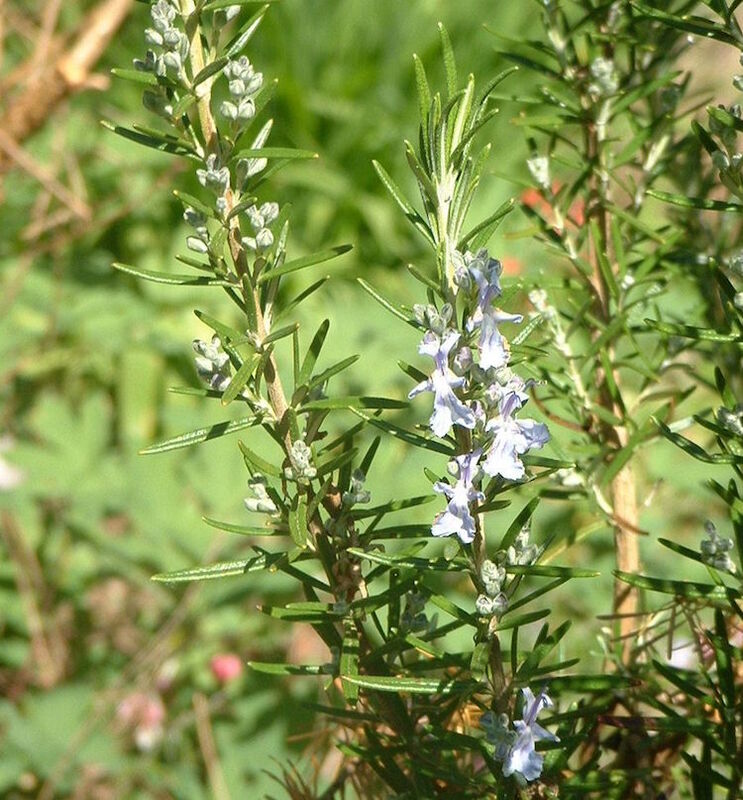 While the Rosemary Flower Essence was being made, the sound of rattle and spirit song coming through Diana’s voice were imprinted into the essence.